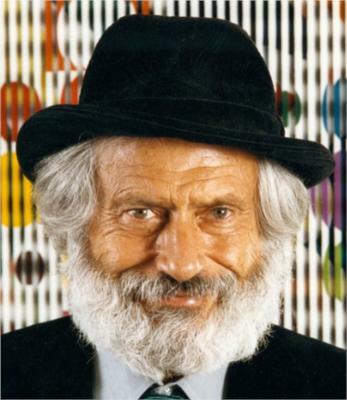 A world-renowned kinetic artist, Yaacov Agam pioneered a new form of art that contemplates progress, time, and the role of the viewer. Agam has become one of the most influential modern artists since his first solo exhibition in 1953. He encourages viewers to reflect on artistic creation and the spiritual values of society through transformative art. His works are collected worldwide and he has participated in major museum exhibitions all over the world.